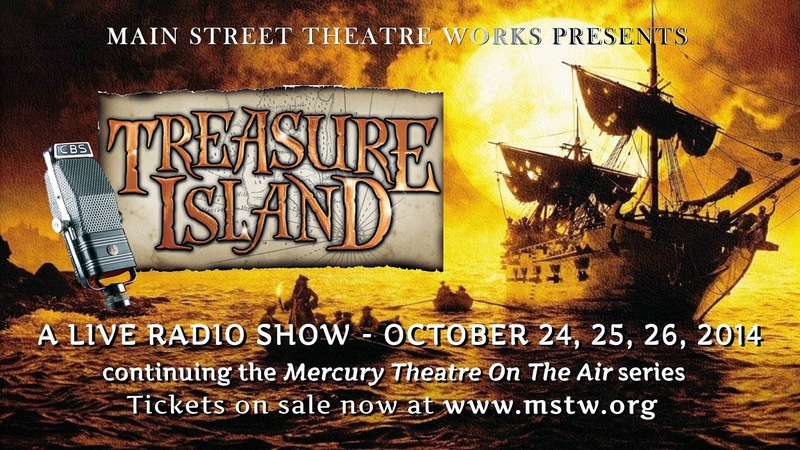 Treasure Island Docks in Amador County: Main Street Theatre Works presents the Live Radio Show of “Treasure Island” for 3 Performances Only! Jackson, CA - On July 18, 1938, Orson Welles decided to follow up his successful radio play of Dracula, and produce Robert Lewis Stevenson’s Treasure Island, featuring his acting troupe, The Mercury Theatre On The Air. This October, Main Street Theatre Works (MSTW) is re-creating this literary radio classic with a live stage production, the forth in their series. This limited-engagement fundraiser for the company will have two evening performances ~ Friday and Saturday, October 24th and 25th at the Native Sons Hall in Sutter Creek, CA. Doors open at 7:15 pm for dessert, show starts at 8:00pm. There will also be a matinee performance on Sunday, October 26th. Doors open at 1:15pm for dessert, show starts at 2:00pm. Tickets for this fundraising event are $25 each and include a dessert, your choice of coffee or tea, and the show. Friday and Saturday night there will be a no-host wine bar. Seating is very limited for this fundraising event, so early reservations are encouraged. MSTW just wrapped another successful summer season at the Kennedy Mine Amphitheatre, where patrons enjoyed our first summer show, Tartuffe, followed by the hilarious play, The Golden State. For our October event, we’re setting things in a more intimate environment, perfect to relive the golden age of radio, complete with live sound effects. Treasure Island was the second weekly episode of the American Radio drama anthology series, performed by the Mercury Theatre Players, directed and narrated by little known actor and future filmmaker, Orson Welles. The episode was an adaptation of the novel, condensed into a 60-minute broadcast. Under the direction of Allen Pontes, who has produced, directed and starred as Orson in the past three productions ~ The War of the Worlds (2 years in a row) and Dracula ~ MSTW’s production adhere to the same time constraints, same script and live sound effects, just the way Orson would want it. Other cast members include Julie Anchor, Ernesto Bustos, Paj Crank, Richard Williams, and introducing Ben Matta as the young Jim Hawkins. Join us for a fun flashback to the days when people “watched” their radios, and sound effects didn’t come from a computer. Watch how the magic isreally made and support Main Street Theatre Works at this fall fundraiser. 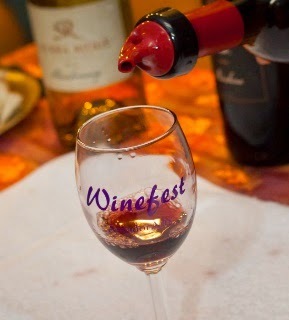 Buy your Winefest Tickets today! 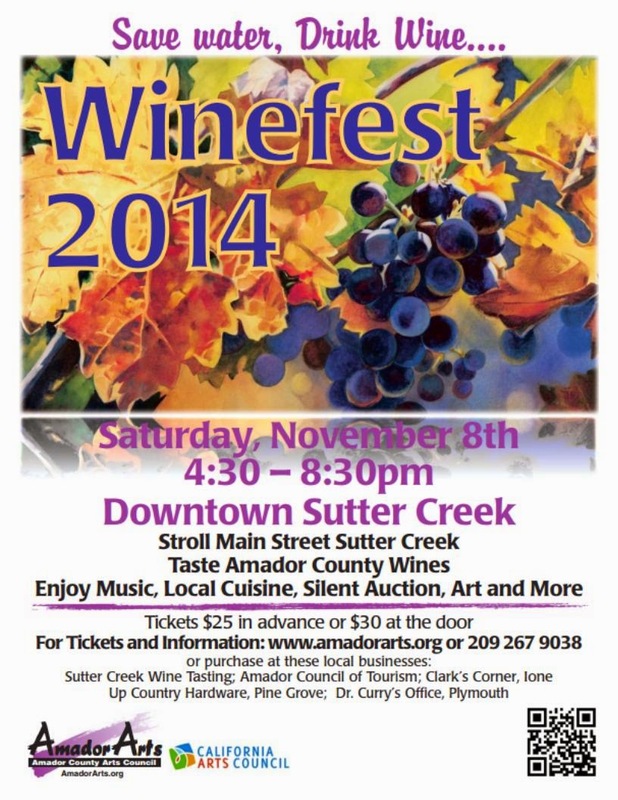 On Saturday November 8th, stroll historic Main Street while tasting a huge selection of Amador County Wines in Sutter Creek’s shops. Guests can check in to pick up their wine glass, wristband and tasting map at the Sutter Creek Auditorium starting at 4:00 pm. Take a look at the silent auctions, one for Art, for Wine and a Table of Premier Gifts and Travel Packages. Start bidding while sampling some early hors d’oeuvres. Then begin your journey from 4:30 -7:00 pm walking up and down the three blocks of historic Main Street visiting 25 shops which each will be offering tastings of a different fine Amador County winery. At 7:00 pm, return to the Auditorium for the Winefest festive Grand Finale, which will feature live music by guitarists Duncan Herring and Hal Gamble, desserts and dessert wines, the silent auctions’ final biddings, and the popular Mystery Wine-in-a-Bag Auction. www.amadorarts.org , your printed PayPal receipt will be your ticket to save time at the auditorium’s check-in. Proceeds of the 17th annual Winefest provide much-needed funds for arts in education in local schools and in the community. AmadorArts is a non-profit organization that has been serving the county for 32 years. Visit www.amadorarts.org or phone 209-267-9038. After a month-long Request for Qualifications, 50 artists have been selected to submit work for the next phase of “River Reflections,” a major arts project, funded by the California Arts Council, that will call attention to the Mokelumne River, source of drinking water for 1.4 million people, locally and in the East Bay. The artists listed below, who are from Amador and Calaveras Counties, and the East Bay, will now have until December 5th to deliver their final creations to AmadorArts or Calaveras Arts Council for inclusion in month-long exhibits that will travel to three locations starting in January, 2015. The “River Reflections” project is a unique collaboration of local agencies, including the Calaveras Arts Council, the Foothill Conservancy, the East Bay Municipal Utilities District, and AmadorArts, the lead agency. For information, phone Terra Forgette, River Reflections Project Coordinator at 209-267-9038. 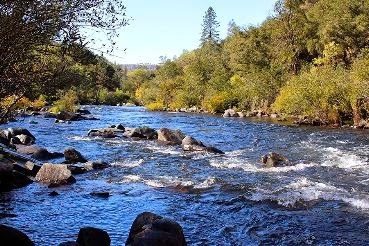 The Mokelumne River is going to become a celebrity as 50 artists start to make it the subject of their works of art which will eventually be presented to the public starting in January. The 17th annual Winefest in Sutter Creek, the popular walk-about wine-tasting event sponsored by AmadorArts, is just around the corner! On Saturday November 8th, stroll historic Main Street while tasting a huge selection of Amador County Wines in Sutter Creek’s shops. At 7:00 pm, return to the Auditorium for the Winefest festive Grand Finale, which will feature live music by guitarists Duncan Herring and Hal Gamble (also the vocalist), desserts and dessert wines, the silent auctions’ final biddings, and the popular Mystery Wine-in-a-Bag Auction. The Winefest event will end at about 8:30 pm. Advance tickets, now available, are $25 each, or $30 the day of the event at the auditorium starting at 4:00 pm. By using a credit card through www.amadorarts.org , your printed PayPal receipt will be your ticket to save time at the auditorium’s check-in. These local locations have just received their tickets to sell: Amador Council of Tourism Office in Sutter Hill; Sutter Creek Wine Tasting Shop; Clarks Corner in Ione, Dr.Curry's Dental Office in Plymouth, and Up Country Hardware in Pine Grove. Proceeds of the 17th annual Winefest provide much-needed funds for arts in education in local schools and in the community. AmadorArts is a non-profit organization that has been serving the county for 32 years. Visitwww.amadorarts.org or phone 209-267-9038. PHOTOS: 1. Each shop on Sutter Creek's historic Main Street will serve one of the fine Amador County Wines; 2. One of the most popular silent auctions is the one where you can bid on bottles of wines; 3. Remember, "Save Water, Drink Wine" and no better place is Winefest to sample them all in one fun evening in Sutter Creek. I'm pleased to announce and promote a concert here at SKUNK HOLLOW VICTORIAN GARDEN for Brian Holland and Danny Coots on Sunday, September 21st, @2pm. Tickets in advance: $20, at the door $25. ALL PROCEEDS GO TO THE PERFORMERS. Send your check for either Brian or Danny to: Arlo Lusby, POB 431, Sutter Creek, Ca. 95685; a call to my home phone will serve as advanced purchase: 209-267-8193209-267-8193; please leave a message if I'm not available. Our usual format of potluck refreshments are encouraged; I will be serving light refreshments and my famous SKUNK HOLLOW VICTORIAN GARDENS wine with Brian and Danny's name on the label; you may to purchase a bottle for them to autograph as a memento for $8.00. Brian Holland, having performed ragtime, jazz and stride piano for over 30 years, continues to be one of the most sought after artists in the country. Classically trained, but with a keen ear for improvisation, Brian’s approach to the piano is marked by a dynamic, driving style that has been described as clear as Waterford crystal. Beginning his musical existence at the age of three, Brian grew up living a “Ragtime Life.” His grandparents raised him to love all kinds of music; however, styles from the early 20th century became his passion. He quickly learned his way around an organ keyboard and had a repertoire of old standards that would shock most professionals - all before the age of six. It was then that he turned his attention to the piano. During twelve years of intense classical studies, Brian decided that it wasn’t a concert stage he wanted to perform on, but the ragtime stage. Since then he has performed all across the US, first on majestic pipe organs in pizza parlors, and then on the uprights and concert grands at ragtime concerts and festivals. with Bud Dresser as B-Square with their “Ragtime-Goodtime-Jazz” CD, and continues to play locally in the Dallas / Ft. Worth area with Bud. Brian has taken his love of music globally several times - from Switzerland to Africa - and will be heading to Buenos Aires, Argentina with his good friend Danny Coots to play a series of concerts for the first ever Buenos Aires Ragtime Encounter in Fall 2014. Danny Coots started playing drums in 1964 in northern New York at the tender age of 6 years old. From that time he has studied with Nick Baffaro, Rich Holly, Alan Koffman and Jim Petercsak in percussion. He continued his education at Crane School of Music and St. Lawrence University. Danny became adjunct faculty at St. Lawrence, Clarkson University and Potsdam State University from the mid-1970’s into the 1990’s while traveling and performing with David Amram, Ray Shiner, Daniel Pinkham, Herb Ellis, Will Alger, Jack Mayhue, Speigle Wilcox, Mimi Hines, Phil Ford, Bob Darch, Pearl Kaufman and Spitznagel Arthur Duncan. In 1996 Danny moved to make his home in Nashville, TN. There he joined the Jack Daniel’s Silver Cornet Band for 5 years and helped to found the Titan Hot Seven. During this time he has played and recorded with Johnny Varro, Jeff Coffin, Tim Laughlin, Harry Allen, Dave Hungate, Jerry Krahn, Bill Allred, John Allred, Randy Reinhart, Ron Hockett, John Cocuzzi, John Sheridan, Dan Barrett, Vince Giordano, Rebecca Kilgore, Ken Peplowski, Duke Heitger, Neville Dickie, Bob Shultz, Nicki Parrott, Bucky Pizzarelli, John Pizzarelli, Yve Evans, Chuck Hedges and Allen Vache to name a few. Danny has recorded extensively in Nashville, New York and L.A. having played on over 70 recordings one of which won a Grammy in 2005. Danny has appeared in over 90 countries. Brian Holland and Danny Coots perform "What A Wonderful World"
Brian Holland playing "Ragtime Dance"
(Calaveras, Sept 7 2014) – Dale Laitinen, a nationally-acclaimed watercolor artist, will teach "Basic Design Strategies for Abstract Painting" from 10 a.m. to 2:30 p.m. Saturday, Sept. 20 from 10 a.m. to 2:30 p.m, and "Expanding Watermedia Boundaries: Painting and Collage", October 17-19 from 9 a.m. to 4 p.m. at Petroglyphe Gallery, 8317 Main St., Mokelumne Hill. During the Abstract Painting workshop students will learn how to use shapes to create simple abstract compositions and create an abstract painting using the cruciform composition (a cross as its base design). “This strong design scaffolding has unlimited potential in painting, and we’ll uncover its potential in watercolor,” explained Laitinen. Students should bring their own watercolors and materials, as well as a sack lunch. Cost for the three-day workshop is $295. For reservations or more information, call 286-1387. Laitinen has been painting for more than forty years, thirty five of which have been in watercolor. 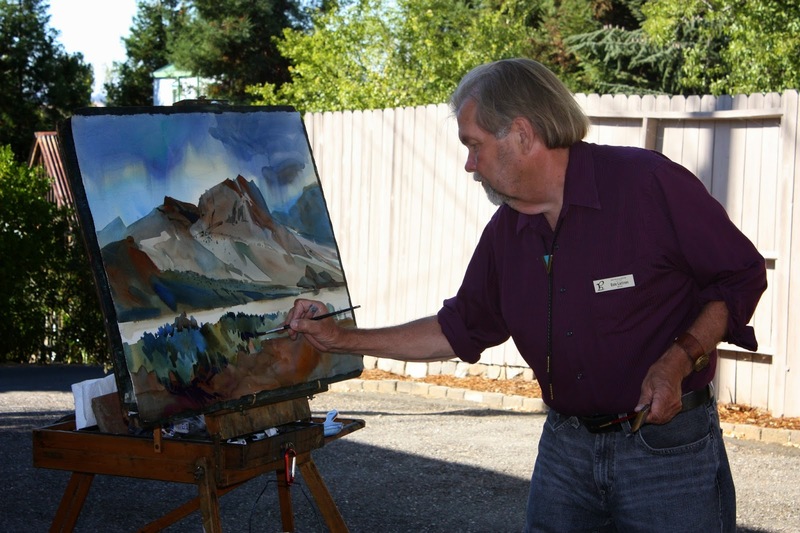 He is a signature member of the National Watercolor Society and Watercolor West. He is a graduate of San Jose State University with a BA in Art and has been a juror of many national and regional exhibitions. He recently was the sole judge at a prestigious national show at Haggin Museum in Stockton. A native of northern Minnesota, Laitinen has lived and traveled across the American West and this figures prominently in his work. After college he spent eight years as an independent trucker hauling freight across country. In 1985 he turned to painting full-time. 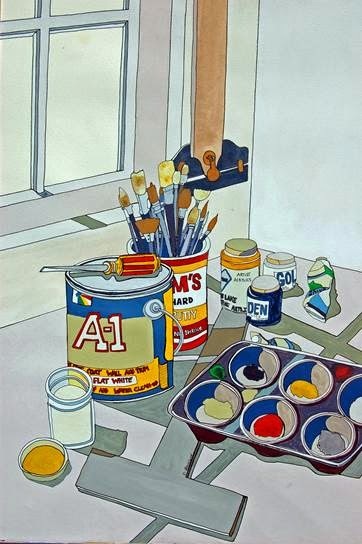 His work has been featured in The Artist’s Magazine, Watercolor Magic, Watercolor Magazine and Drawingboard Magazine and in several books including The Splash Series, Painting with the White of Your Paper and The Transparent Watercolor Wheel. An active workshop instructor, Laitinen teaches workshops around the United States and in Europe, and enjoys teaching his classes at Petroglyphe Gallery every year. 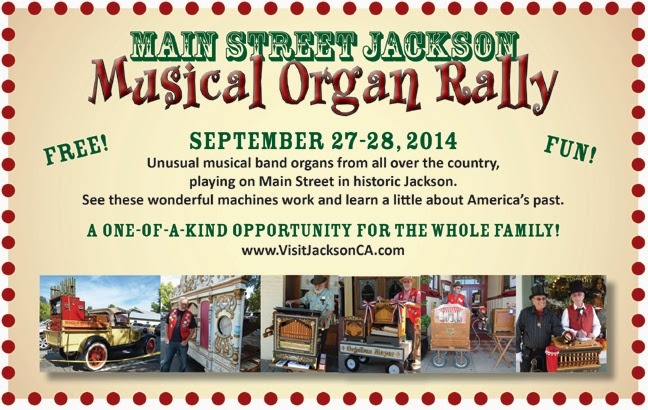 (Jackson, CA) The annual Musical Organ Rally comes to historic Jackson the weekend of September 27 – 28, 2014. Strolling Main Street from 10 a.m. to 4 p.m. Saturday, this free musical treat features beautiful vintage organs ranging from “monkey grinder” size to majestic. The instruments play a variety of melodies, from dance tunes and marches to carousel and classical pieces. On Sunday at 1 pm, the musical organs will assemble for a free indoor concert at Jackson United Methodist Church, just two blocks from Main Street at 120 Church Street, Jackson. The Sunday concert is a musical highlight of Jackson’s Days of 49 living history day that begins at 11 am with a Main Street parade and continues with Gold Rush era activities until 5 pm. Known as nickelodeons, music boxes, pianos, and dance hall organs, musical organs were programmed to play perforated punch cards, “books,” or player piano rolls and were featured attractions at fairgrounds and dance halls. 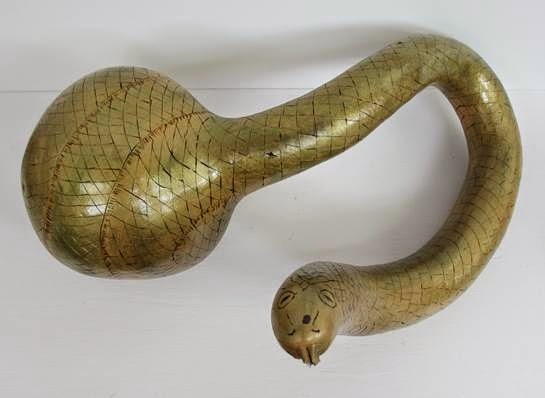 Thanks to Jackson antiques dealer and organizer John MottoRos, and the Automatic Musical Collectors’ Association, music lovers of all ages and fans of all things antique have a chance to see, hear, and learn about these mechanical instruments that have entertained people for centuries. Their colorful musician-operators are always happy to answer questions about the music and the instruments. The organs heard today are based on instruments produced in France, but more popularly thought to have originated in Holland or Germany. In the eighteenth century, the first mechanical organs, turned by a crank, were invented to teach canaries to sing. Soon owners realized they could earn money playing outside. That was the beginning of organ grinders. In the U.S., Wurlitzer Co. manufactured player organs for merry-go-rounds that are still a favorite in parks and at county fairs. For more information, visit www.VisitJacksonCA.com or call Jackson Business & Community Assoc. president Lucy Hackett at 209-223-4603. Winefest is just around the corner, on Saturday November 8th, and we need all the help we can get. Winefest has been our most popular benefit event for many years & we could not do it without you! All proceeds from this event help AmadorArts continue to Support, Promote and Encourage the Arts in Our Schools and Community. We depend on a small army of volunteers to put this event together and we would love to have you help. Below is a list of the volunteer opportunities. All volunteers will receive a complimentary wine glass and a chance to go out wine tasting. If you would like to volunteer please let me know when you are available and what you would like to do. Our volunteer coordinator, Lyla Osmundsen will follow up with you. Thank you so much- we couldn't do it without you! First Saturday Amador Art Trek for September 6 will spotlight featured artists whose works will be the focus at receptions in most galleries. Remember, you can take the Art Trek anytime. A map of Art Trek galleries can be viewed at: www.amadorarts.org. Notable for your free gallery-hopping fun on September 6th are artists NEW in the galleries this month, while other galleries will be extending their shows. The monthly 1st Saturday Art Treks are scheduled from 1:00 – 6:00 pm. Usually the receptions are from 3-6 pm; some are earlier. Going on the Trek is FREE, a time to have fun seeing what ten galleries are currently exhibiting. There might be an artist's reception, cookies and punch, wine and cheese, music, and friendship. AmadorArts Gallery - Kathryn Devlin and Cathleen Berglund . The ceramics of Kathryn Devlin have been described as whimsical, fanciful, detailed, fun, imaginative, childlike, creative. This exhibit is her first formal show, made especially exciting to be showing with her dear, long-time friend, Cathleen Berglund. Quirky realism, sophisticated primitivism, hard edge sentimentalism: all of these phrases have been used to describe Cathleen Berglund’s style of painting. She likes to capture unique and colorful images, and she favors telling an implied story with her art. Gallery 10 - Sabina Turner will display her nationally known art for the month of September. Sabina was one of the original ten founding members of the gallery. 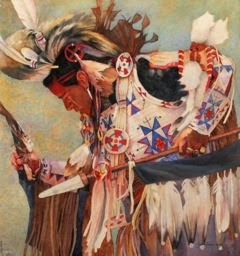 She will be showing some of her Native American series of paintings in oil, watercolor and charcoal. She will also be showing the painting “With Hands Of Love” that was exhibited this year at the Oil Painters of America National Show in Bennington, Vermont. A reception in her honor will take place at Gallery 10, 15 Eureka Street, Sutter Creek, on Saturday, September 6th , 2-5 pm. The Gallery is open Thursdays through Mondays between 11 and 5. For further info, contact 209-267-0203 or www.gallery10suttercreek.com. Sutter Creek Gallery - Laura Carpender, fiber and gourd artist who’s discovered a way to combine two media. As she explains, “The contrast between the soft fabrics and fibers and the toughness of the gourds is exciting and has endless possibilities.” Carpender is a member of the Del Oro Spinners and Weavers Guild as well as the Amador Gourd Patch. During her 30 years as a social worker, Carpender found the only way to save her sanity was to create art every day. Now that she is retired, she devotes hours each day to her designs. A reception in will be held on Saturday Sept. 6th , from 4 to 7 pm, a part of the First Saturday Art Trek at the cooperative gallery of 30 local artists. It’s located in the heart of Sutter Creek at 35 Main Street. The gallery is open Sunday, Monday, Wednesday and Thursday from 10 a.m. to 5 p.m., Friday and Saturday 10 a.m. to 6 p.m. For additional information, call 209-267-0228 or email suttercreekgallery@gmail.com. Fine Eye Gallery – Three top artists from northern California were invited to show in the “Out of the Woods” exhibit: Paula Wenzl Ballacera has a menagerie of ceramic sculptures that are delightful studies of human foibles;Liz Crain created the Amador County Series beer cans and some great new TeaCans; and Courtney Johnson has painted portraits of wacky characters, animal spirits, and zany dreams. 71 Main St., Sutter Creek, CA 95685. Gallery Hours: 11:00am – 5:30pm daily. www.fineeye.com or call 209-267-0571. Add Art - Provides fine art framing services and displays the work of John Johannsen who first showcased his vibrant whimsical canvases in a one-man show at the California Palace of the Legion of Honor. 20 Main St., Jackson, CA 95642. www.addart.com 209-223-3339.